After all the drama of yesterday I figured it was probably time to lighten things up a bit around here. Thankfully, Adam, from The Comp Zone, selected The Simpsons as the next show to be covered in the Lessons on Blogging series and you don’t get much “lighter” than a healthy dose of Homer and Bart. So, without further ado, I present to you The Simpsons: Lessons on Blogging! Part of the reason I like Homer so much is because no matter what happens, he always thinks his next idea is a great one. Naturally almost none of them work out as he had planned. 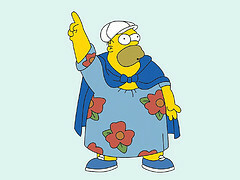 Homer once decided he would gain enough weight to become disabled which would allow him to work from home (and wear mu-mu’s). Of course, gaining that much weight had some seriously adverse effects that Homer hadn’t considered and he ended up having the have liposuction. In another episode Bart and Homer happen upon a wrecked sugar truck. Homer decides to take the sugar home to sell as his own brand. The plan begins to fall apart when Marge points out he lost more money by not going in to work that day than he made selling his second hand sugar. But when the sugar started attracting valuable bees and scientist hoping to buy said bees, it looked like Homer might have stumbled into a windfall of cash. In typical Simpson style though, the plan is foiled at the last minute when it begins to rain, washing away the sugar, the bees, and Homer’s potential cash as well. The first lesson of blogging that we get from this hilarious animated family is that not all of your plans are going to work like you expect them to. Hopefully your plans will be more thought out than Homer’s harebrained schemes but no matter how much planning and preparation you put in, things just don’t always work out like we think they should. As I mentioned in House: Lessons on Blogging you can’t be afraid to be wrong or in this case fail. As long as you’re willing to keep trying and keep plugging away, eventually you’ll find success. If you need more convincing, consider that Shoemoney, one of the most successful internet marketers around, recently wrote about the 10 worst ideas he had to make money online. If Shoe makes that many mistakes, you can bet not all of your plans will work out quite like you’d hoped… even if you’re not quite as dumb as Homer J. Simpson. Part of what has made The Simpsons such a successful show is the incredible cast of characters the writers have to pull from. Obviously this is one of the benefits of having an animated cast, but the point remains, the ancillary characters are a huge asset to the show. Characters such as Milhouse, Sideshow Bob, Groundskeeper Willy, Otto, etc make the show what it is. Could you imagine the Simpsons without Ned Flanders? Could you picture Springfield Elementary without Principal Skinner? While the Simpson family is undoubtedly the star of the show, I don’t think the show would still be running if they hadn’t gotten the community characters involved. Similarly, no blog will be successful without the support of the community surrounding it. I’m sure some of you are saying that you run a blog, not a community site like a forum or a social network. Well I’ve got news for you, whether you realize it or not, a blog is a community, and your readers, subscribers, commentators, and contributors are all part of it. If you don’t believe this, try running your blog for a while without these people. You won’t make any referrals, you won’t get any advertising, you won’t get any comments or links. Without your community, you’re just talking to yourself. Conversely, if you manage to properly leverage and involve your user base, tasks like social media, word of mouth marketing, and affiliate marketing are made that much easier. Active community members become advocates for your site and are MUCH more likely to purchase products on your recommendation, link to your site, or share your content. You might also end up getting guest posts, or even regular contributors from your member base. In one case I had a subscriber email me and ask if they could help guest blog when I was busy or out of town. That person ended up being a great writer and took over a large portion of the content creation. 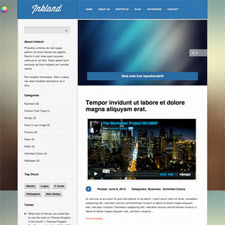 Best of all, they did it all for free, just because they enjoyed my site. So, while you might not have as diverse a cast of characters as Apu, Selma & Patty, Krusty, and the rest of the Springfield gang, you absolutely have an asset that can and should be leveraged for your blog’s success. Another signature of the show through the years has been the incredible number of “easter eggs,” subtle social references, and cameos which give the show depth. No matter how many times you’ve seen an episode, chances are you’ll notice something new each time you watch it. 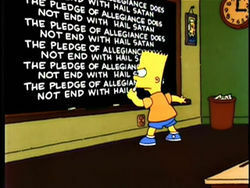 While often subtle, things like what Bart writes on the chalkboard in the intro, or parody characters (Drederick Tatum a convict boxer with a high voice ala Mike Tyson, etc), have inspired entire websites and even books. Quick references like Homer shooting the Winter brothers in a Treehouse of Horror episode after mistaking them for zombies (the Winters were albinos) are often not caught in the first watching and they provide repeat viewers something new and exciting. While I’m not suggesting you fill your content with easter eggs or call backs like The Simpsons episodes, the attention to detail that illustrates would serve any blog well. I’m not just talking about fairly obvious details such as spelling mistakes, formatting, and accurate information. Taking the extra time to find a few extra resources to include at the end of a post, or providing definitions for words and phrases someone new to the field might not be familiar with will add that extra layer of depth to your site. These activities will not only give your site a more polished and professional feel, they’ll also allow your blog to appeal to a broader range of people with different levels of knowledge and ability. One of the things that I believe will ultimately make this blog a very useful resource is the fact that by the time I’m done I’ll have content for anyone whether they’ve just decided to try blogging, or they are trying to make more money blogging, or they are an expert looking for new inspiration. Obviously not every blog will have a format that lends itself to this, but there will always be ways to add extra value to your site and I’d wager every blog (including this one) could improve in this area. Over the years the characters on The Simpsons have had several catch phrases and most of them found their way into the general public’s vocabulary. Phrases such as Eat my shorts! 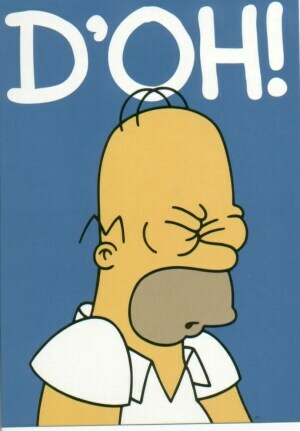 (Bart), Doh! (Homer), Eeexcellent (Mr. Burns), Ha Ha! (Nelson), and my personal favorite Mmmm Beer…(Homer) have all become catch phrases and a large percentage of the public associate the phrases with the characters and the show as a whole. T-shirts, bumper stickers, and all sorts of other memorabilia have been created using these memorable words (or in some cases sylables). In fact, it’s so wide spread that you can’t say Doh! in a group of 2o something men without at least one of them busting out their best impression of Homer. So what does that have to do with blogging? One word: branding. What the creators of The Simpsons have done is created an incredibly strong brand. Whole generations associate certain phrases with the show and will even imitate the characters. That’s the kind of marketing that no amount of money can buy. While it’s not necessarily easy, the same can be done with your blog. Need proof? When I hear the phrase flagship content I immediately think of Chris Garrett. When I read about copy writing I think Copyblogger.com. When I hear “make money online” I think of John Chow or Shoemoney. The point is, these bloggers have created their own brands through their content. Chris Garrett’s example is a great one in that the concept he discusses isn’t all that unique. But, by calling it “flagship content” rather than pillar content or cornerstone content, he’s created a phrase and idea that most people in the blogosphere now associate with him. Another example, although admittedly on a much smaller and not nearly as successful (yet) scale, would be these Lessons on Blogging posts. I’m willing to bet someone before me compared blogging to a popular TV show. However, a couple of weeks ago when Christine from Movie Snobs read this post on Copyblogger about TV teaching writing techniques, she immediately thought of me and this site. That’s the kind of branding that we as bloggers should be striving for. When people begin to associate your blog with ideas and concepts, you’ll start to benefit from the same type of valuable marketing that has made The Simpsons the longest running American sitcom in history. With a show that’s been running as long as The Simpsons has (19 years), there’s bound to be more than just four lessons we as bloggers can learn. Please feel free to share some of the likely many lessons I’ve missed, in the comments below! As usual, great post Ben. I’m not even a big Simpsons fan and I liked this one! That was everything I hoped it to be 😀 I’m always amazed how you can pull great blogging tips out of TV shows. Another tip could be “Don’t worry about being different” If you just follow the trend your blog may not get noticed. Be different. Hi Ben, this was a great post. 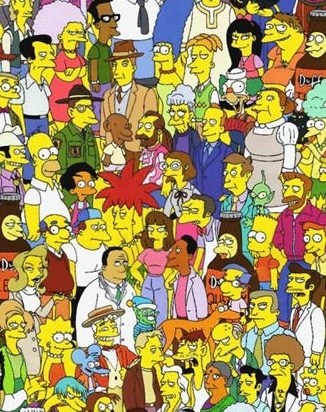 i love the simpsons and I love the way you have interwoven a lesson around the simpsons characters. Great idea using the Simpsons to get your point across. I used Boston Legal once to make some Denny Crane references, but I made the mistake of using videos instead of stills. Great post Ben. I think the best point here is the “Plans Will Fail” topic. If you think negative, you will be negative…vice versa. Great post! It had me laughing with you right at the first paragraph, and I loved how you used it to illustrate really practical points for bloggers. Its also given me a great idea for a post. Thanks Ben! Thanks Ben. I am going to put together a post soon that highlights your lessons on blogging. The correlation you make between popular shows and the art of blogging is entertaining and educational. @ Koka, thanks! I’m glad everyone seems to enjoy these as much as I like writing them. And of course the best thing to come from the Simpsons in recent years? I’ve been a huge simpsons fan all my life. So I love the analogy. I think you hit the nail on the head. Great post! Important reminders for all that write. Couldn’t have come at a beter time for me! great post. i am definitely going to have to try some of this on my small blog. Branding is certainly important. Getting that recognition and being the go-to site is important. I follow a few blogs and part of the reason is great content and good branding. I watch and learn as much as I can from people doing it right.